AssuredGain provides financial planning, portfolio management and wealth management services for individuals and their families. We offer unbiased fee based financial advice across all financial products and goals. The advice is customized to each client’s goals and risk appetite. 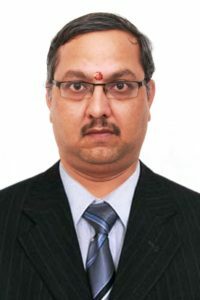 AssuredGain is promoted by Mr. Narendar Kumar who has over 8 years experience in various areas encompassing financial markets, products, advice and training. Narendar is Certified Personal Financial Advisor (CPFA) . He is also NSE Certified Market Professional(NCMP). Narendar also regularly writes guest post for Marketcalls. As we charge fees from clients, we are not dependent on commissions/ brokerages for our revenues unlike the agents and banks. We would never act as sales agents for any financial institution and recommend unwanted products for getting higher commissions/brokerages. Our investment advisory philosophy is built on maintaining long term relationships – not only between us and our clients, but also between our clients and the financial markets. Our approach is based on identifying the key financial issues that concern you most. With several years experience of financial services and tax planning we can provide the most appropriate financial solution to need your specific requirements. Email reminders to schedule annual checkups. Judge or berate you for any of your financial decisions.